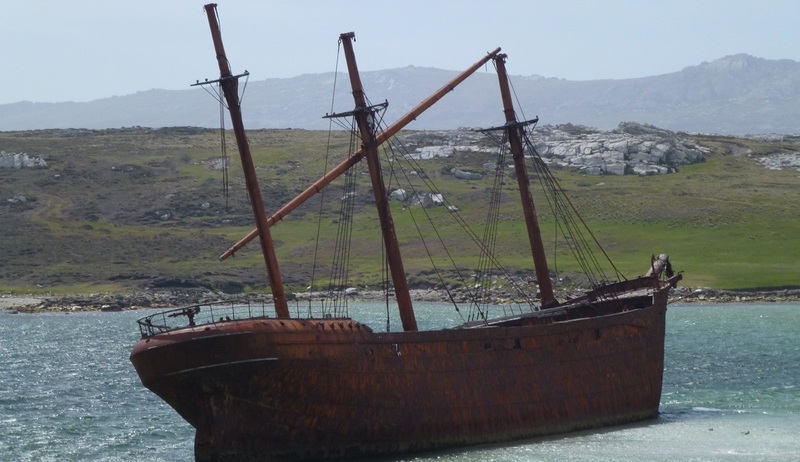 This excellent itinerary, led by Falkland Islands expert Jenny Luxton offers a unique opportunity to explore these beautiful islands in the company of someone who knows these lands like no other. In a small group setting you will have chance to really see all that these remarkable group of islands has to offer. 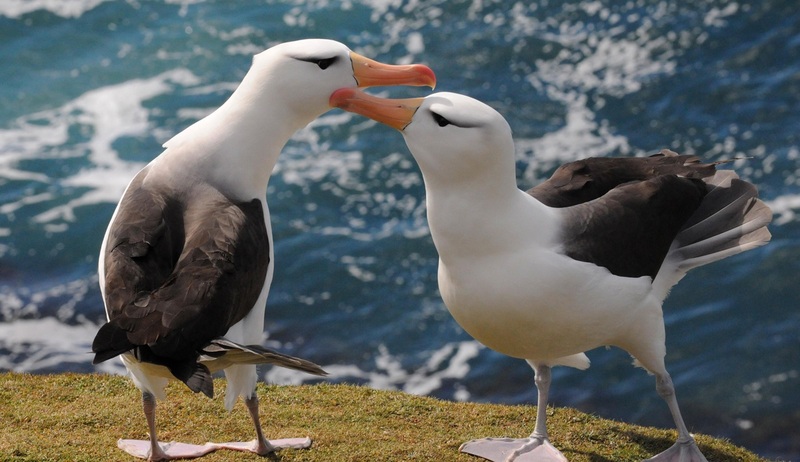 Visiting islands such as Pebble Island, Carcass Island, Sea Lion Island & Bleaker, as well as Port Stanley, you can get up close to the fascinating wildlife, discover the history of the islands and enjoy unsurpassed scenic opportunities. 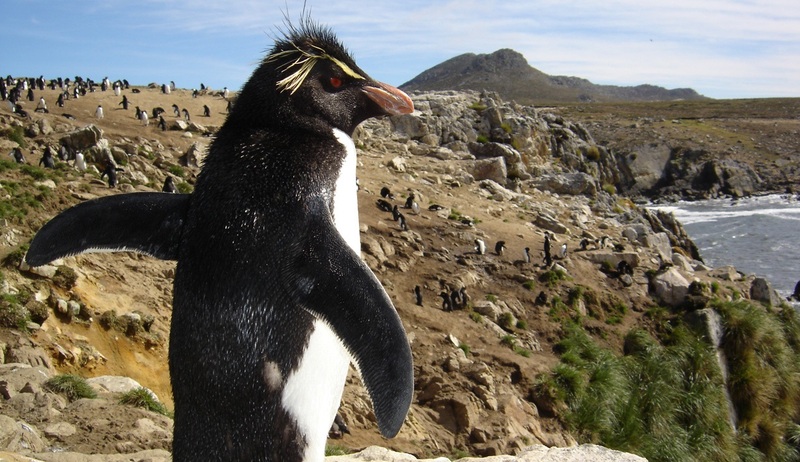 With a focus on wildlife, birdlife and plants this is the ideal itinerary on which to discover the Falkland's natural wonders. Please note: There is a £25 per person departure tax applicable to this itinerary. 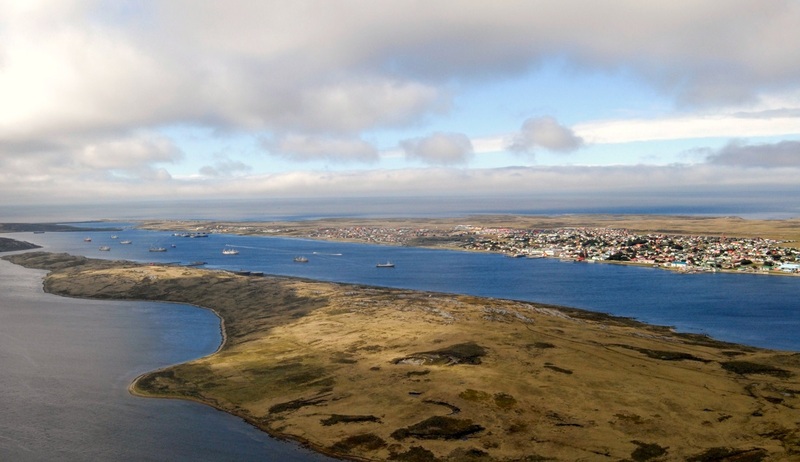 An overnight flight from Brize Norton departing on the 27th of October will bring you to Mount Pleasant Airport in the Falkland Islands, where you will be met by your tour representative for your transfer to Darwin House Lodge. 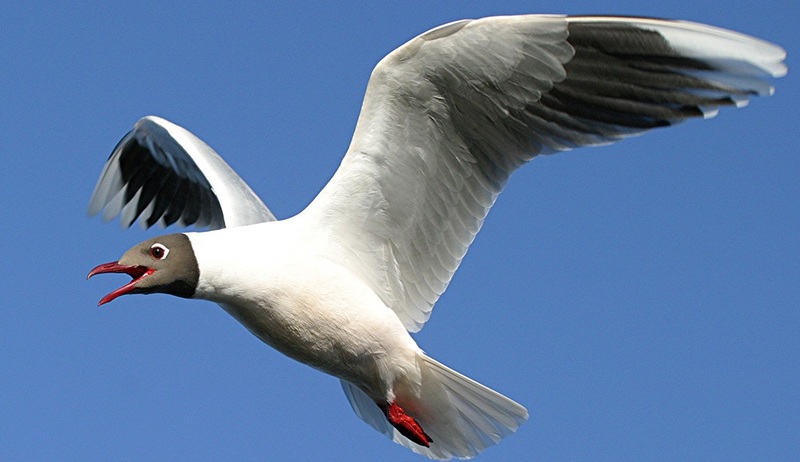 Settle in to your comfortable surroundings and perhaps enjoy a walk around in this beautiful area in search of sightings of the abundant birdlife including the Southern Giant Petrel, the Falklands Steamer Duck and the Falklands Thrush. Overnight accommodation for 1 night on a full board basis. 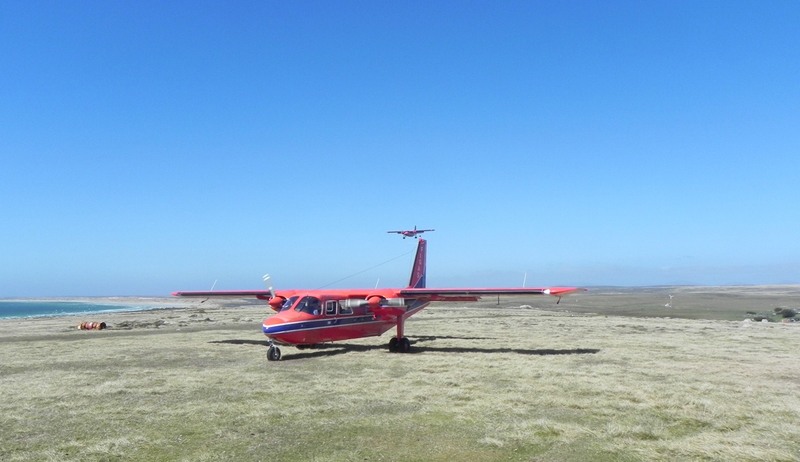 On the morning of day 2 you will join the transfer to the airstrip for your included internal flight to Pebble Island where you will be staying for 3 nights at the Pebble Lodge on a full board basis. Named for the brightly coloured pebbles which adorn the island’s beautiful beaches, the origins of which remain a mystery, Pebble Island is the third largest of the offshore islands of the archipelago. 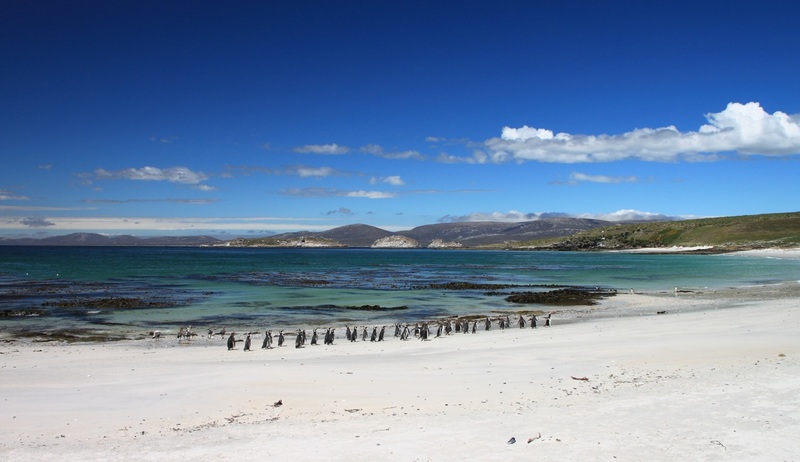 Home to the largest sand beach in the Falklands, Pebble Island’s pretty landscape features mountain peaks and many large lakes and ponds which attract a wide range of wildfowl and wading birds. 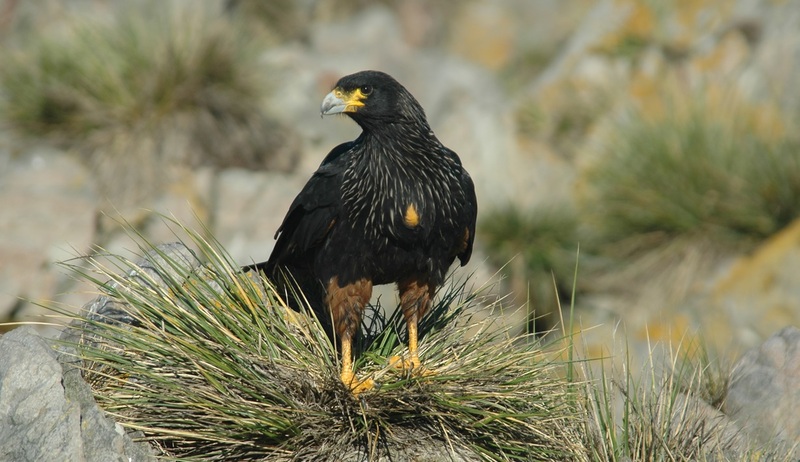 The island qualifies as an Important Bird Area and during your time here you can enjoy two full-day tours which will take you all around in the island in search, not only of exceptional scenic opportunities, but also of wildlife encounters. 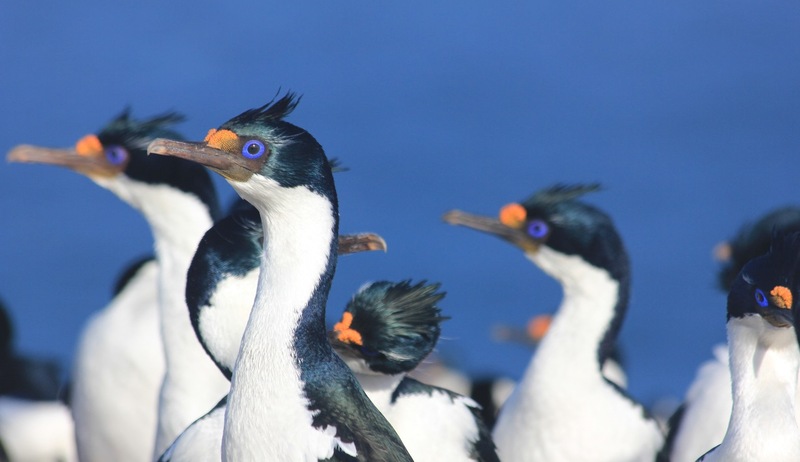 Around 40 birds species have been recorded on the island including over 1,000 pairs of Imperial cormorants as well as several large colonies of Gentoo, Megellanic and Southern Rockhopper penguins. 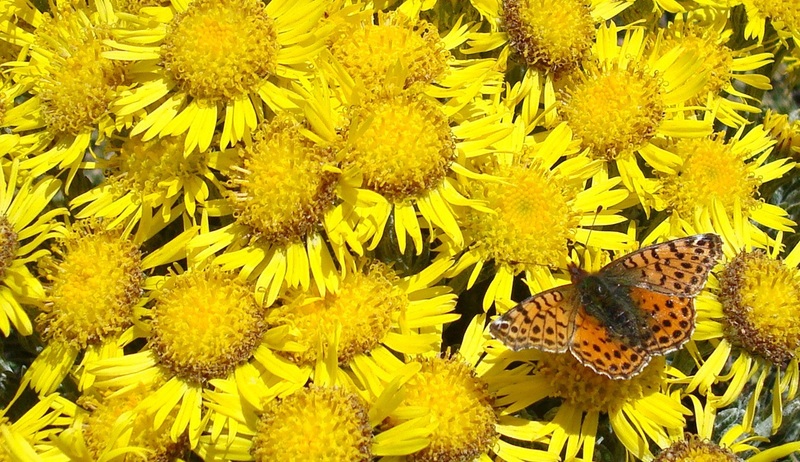 There are also good chances of spotting Commerson’s dolphins and the Queen of the Falklands fritillary butterfly which are regularly recorded here. 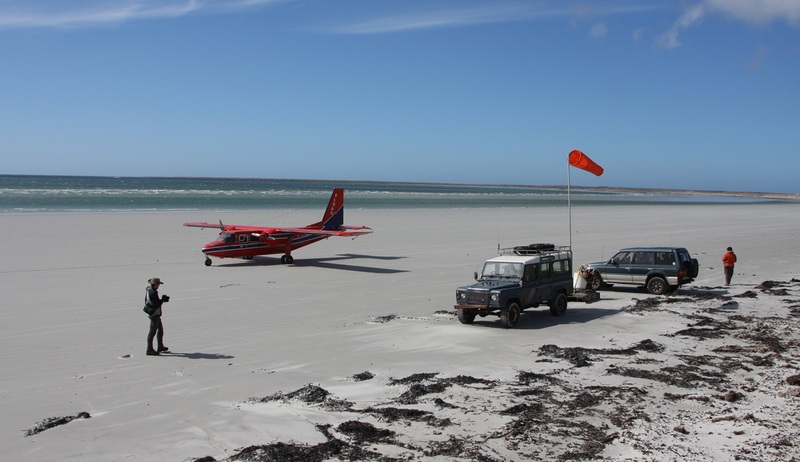 On the morning of day 5 it’s time to leave Pebble Island behind as you join your transfer to the airstrip for your included flight to Carcass Island on the north-west of the archipelago. 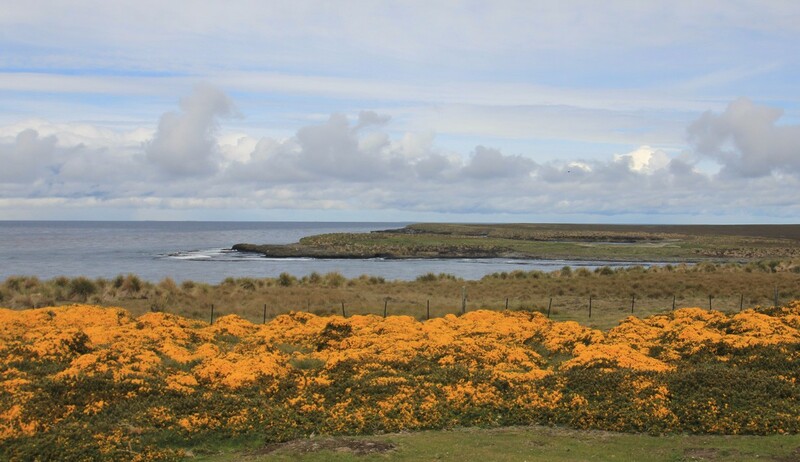 A landscape of large sandy bays, tidal rocks, cliffs and freshwater ponds, the Carcass Island terrain is home to an abundance of flora, with 107 different plant species having been identified. 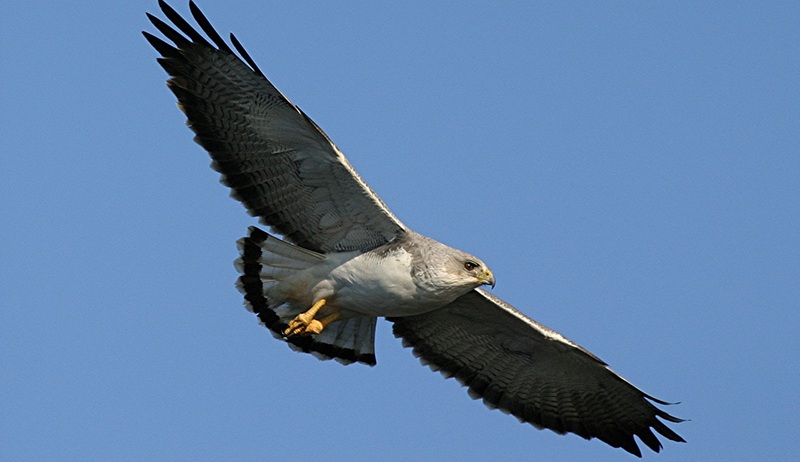 Qualifying as an Important Bird Area, the island is completely free from cats, rats and mice, allowing for ground-nesting birds to thrive here in abundance. 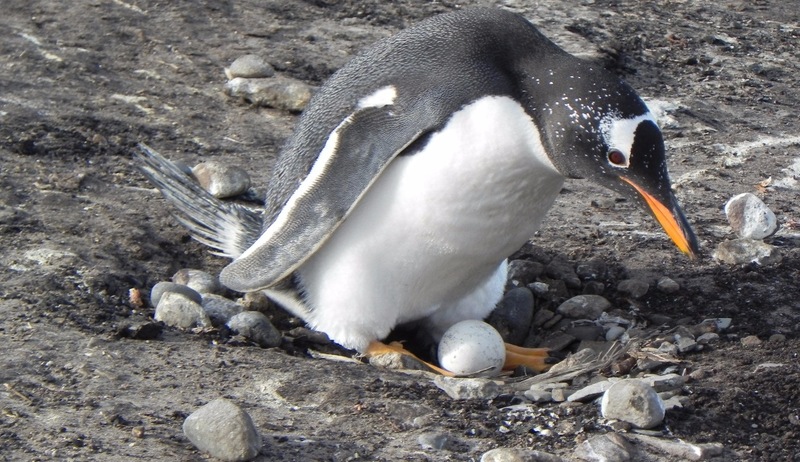 On the island you will find several colonies of Gentoo penguins, considerable numbers of Ruddy-headed geese, the rare Striated caracara and it is also an important site for the endemic Cobb’s wren. 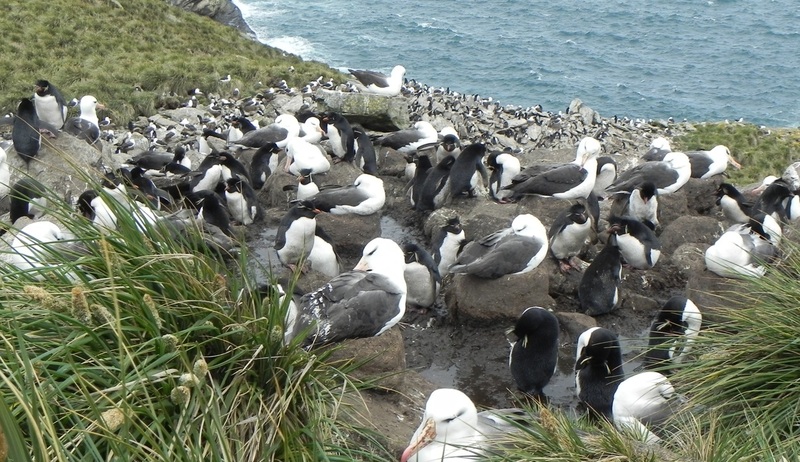 During your time here you can also enjoy an included excursion to West Point Island where you can walk or ride to Devil’s Nose, home to large mixed colonies of Black-browed albatrosses, Rockhopper penguins, Turkey vultures, Military starlings, Falklands thrush and Striated caracaras. 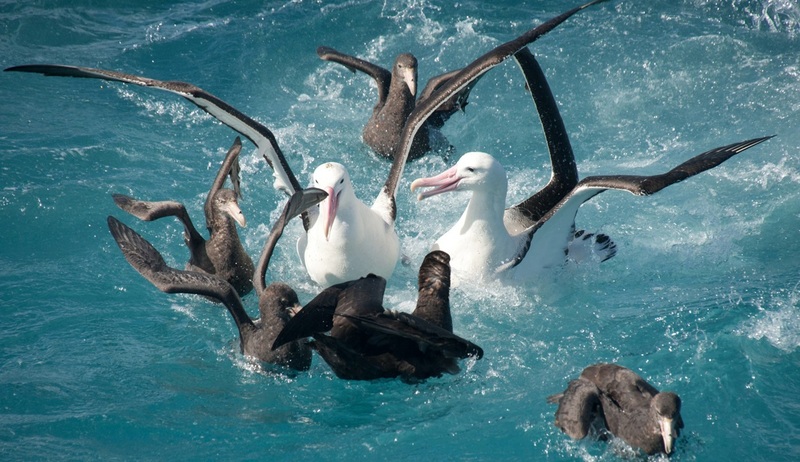 3 nights accommodation is provided in the Manager’s House on Carcass Island on a full board basis. 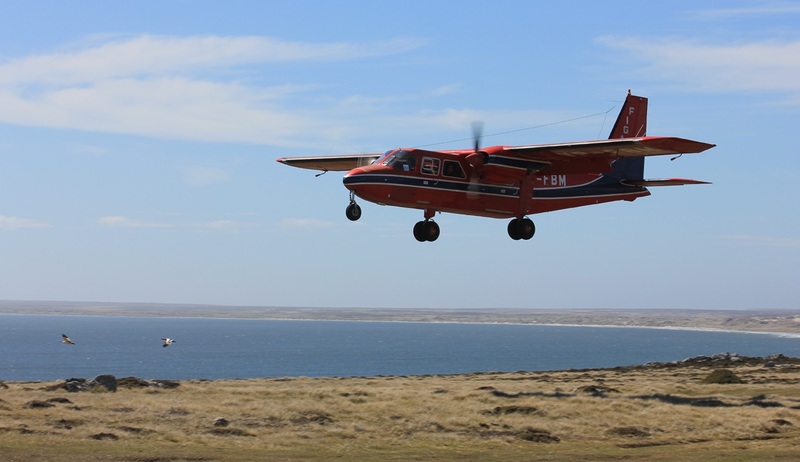 On day 8 you will take another internal flight from Carcass Island to Sea Lion Island where you will be staying for 3 nights at the Sea Lion Lodge on a full board basis. 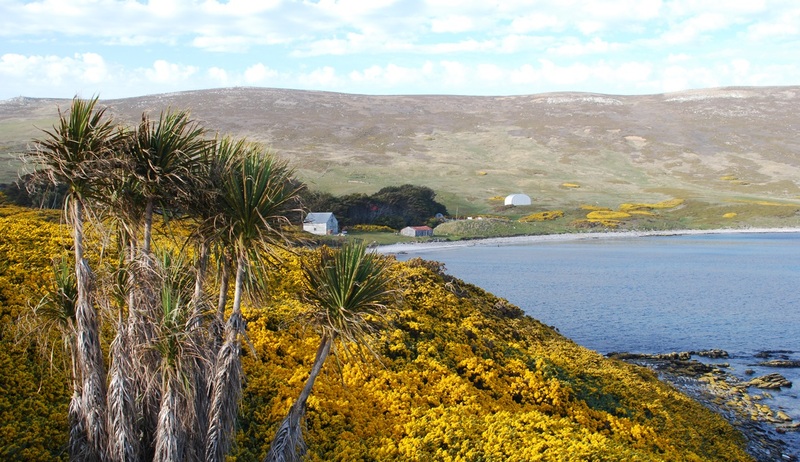 Sea Lion Island lies 17km south of mainland East Falkland and is the premier wildlife tourism site in the archipelago. 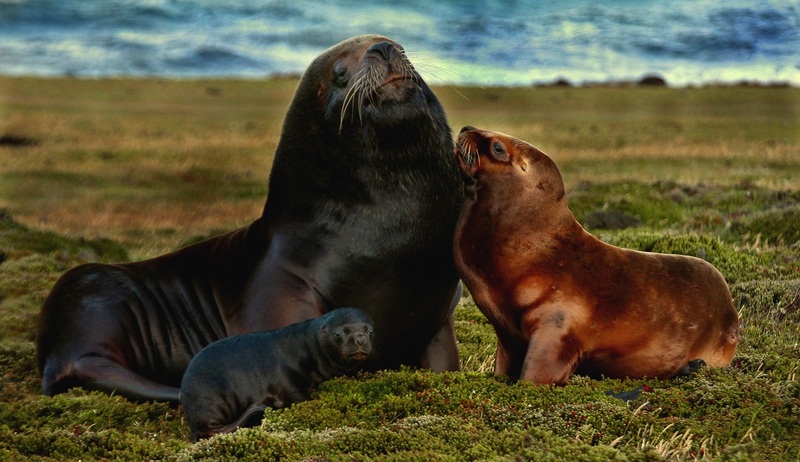 As its name suggests, you can expect to see a number of sea lions hauled out on the shore, and the island is also home to 95% of the Falklands’ southern elephant seal population. 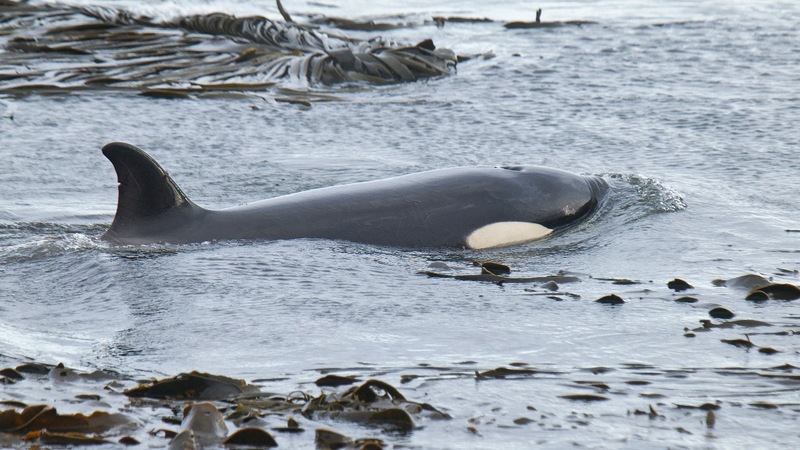 You will be visiting during Killer whale season so you can expect to tick these off your bucket list of wildlife viewing experiences too. 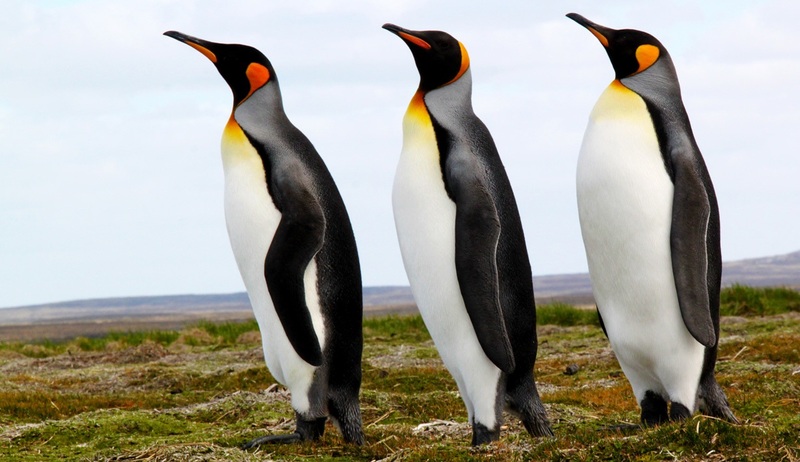 As well as marine wildlife, as with the majority of the Falkland Islands there are also excellent bird watching opportunities, with the island being home to Gentoo, Magellanic and Southern rockhopper penguins, along with an abundance of ground-nesting birds. 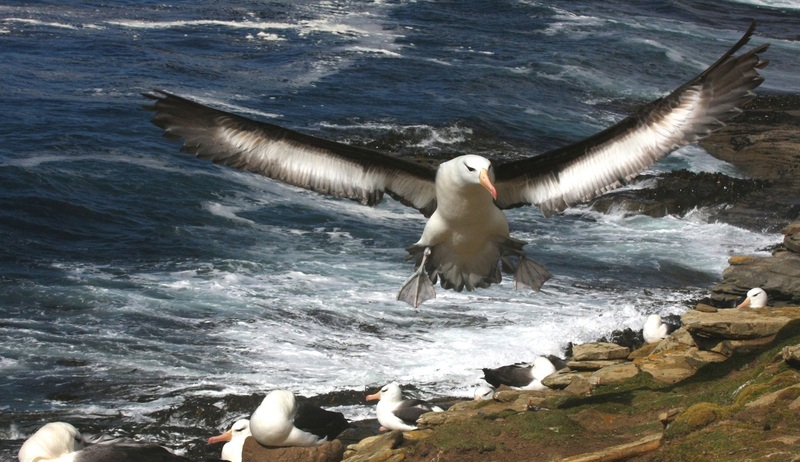 A full island orientation tour is included as part of your package. 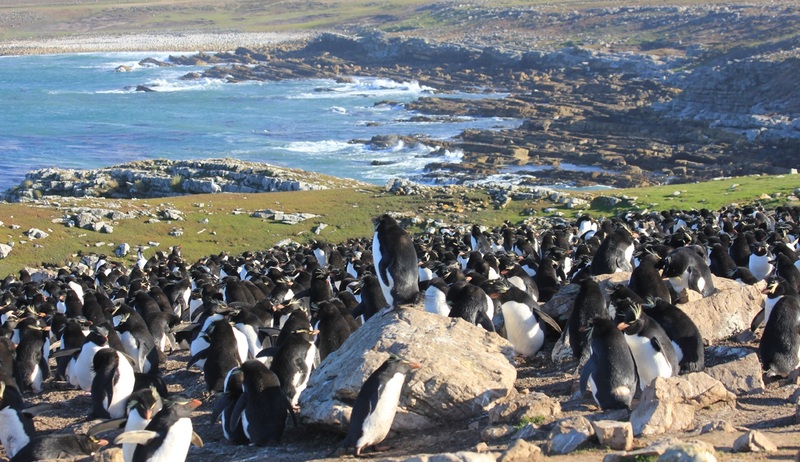 The next island on our Falklands tour will be Bleaker Island, and on the morning of day 11 you will join your included internal flight and transfer to Cobbs Cottage or Cassard House for a 3 night stay on a full board basis. Contrary to its name the island is far from bleak, and features a varied coastline of low cliffs, sloping bedrock beaches, wide sandy bays and sheltered coves. 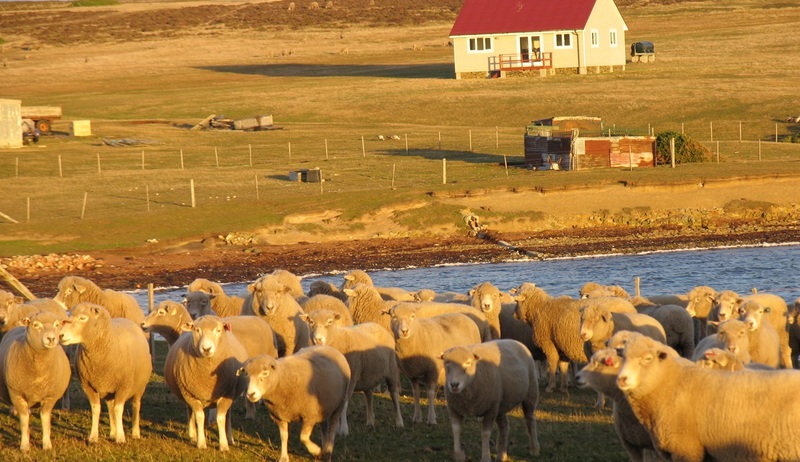 The island is an important sheep farming area and the excellent pastures are home to a variety of flora. A full day orientation tour of the island is included as part of your package, although the area is perfect for walking and self-exploration. 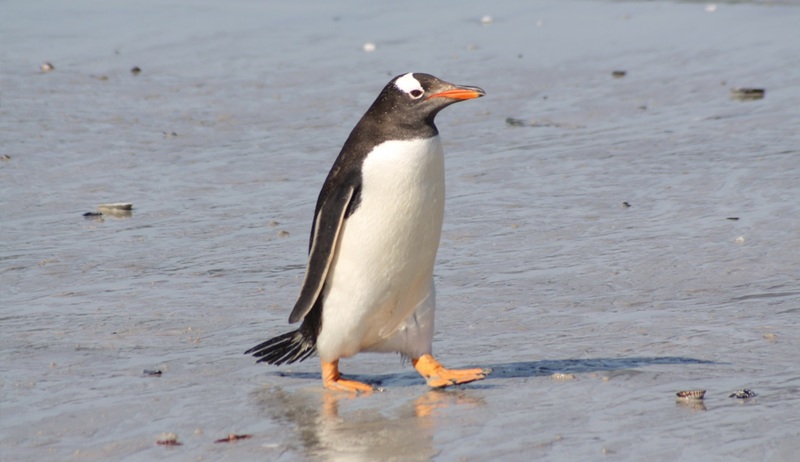 You can expect to encounter an abundance of birdlife, with the northern end of Sandy Bay and Penguin Hill simply teeming with thousands of pairs of breeding Gentoo penguins. 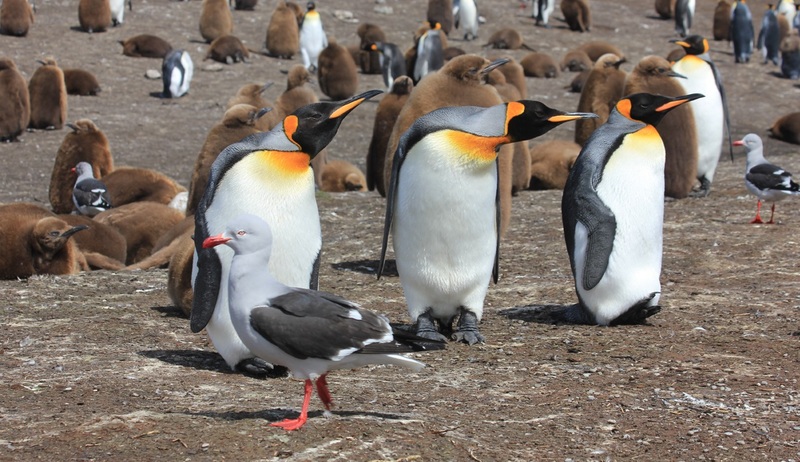 A gentle stroll around the island should also reward with sightings of Magellanic penguins, crested and striated caracaras, Falkland skuas and ruddy-headed geese amongst many others. 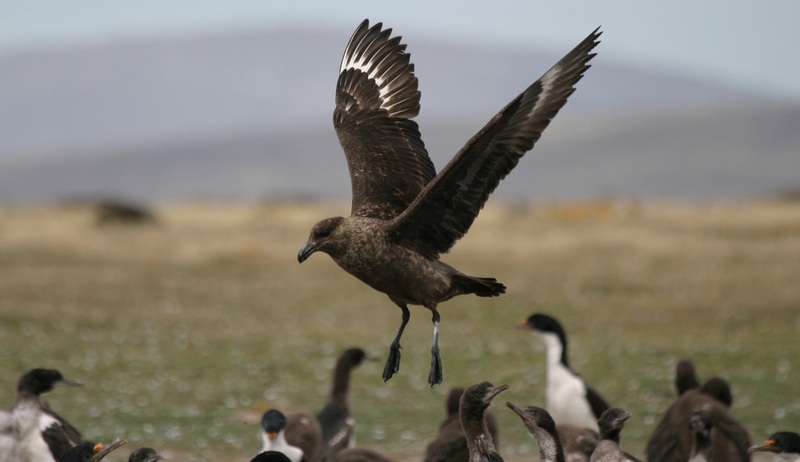 Take care not to walk too close to the nesting Southern giant petrels! 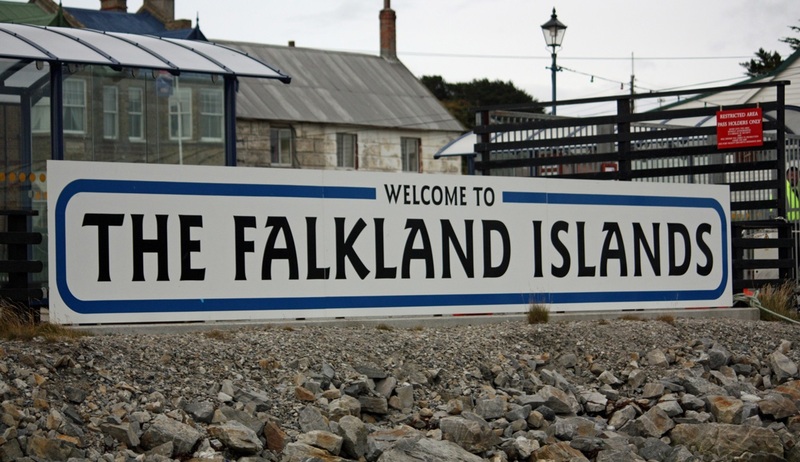 As we approach the end of your comprehensive Falkland Islands tour there is time for a final delight as we visit Stanley, the capital of the Falklands. After your internal flight from Bleaker you will transfer by road to the Malvina House Hotel, located just a few minutes’ walk from the historic town centre, for a 2 night stay on a full board basis. Stanley is a charming town which looks very much like a traditional English village, and is a place of great historical interest. There is a harbour, cathedral and a number of welcoming British-style pubs. 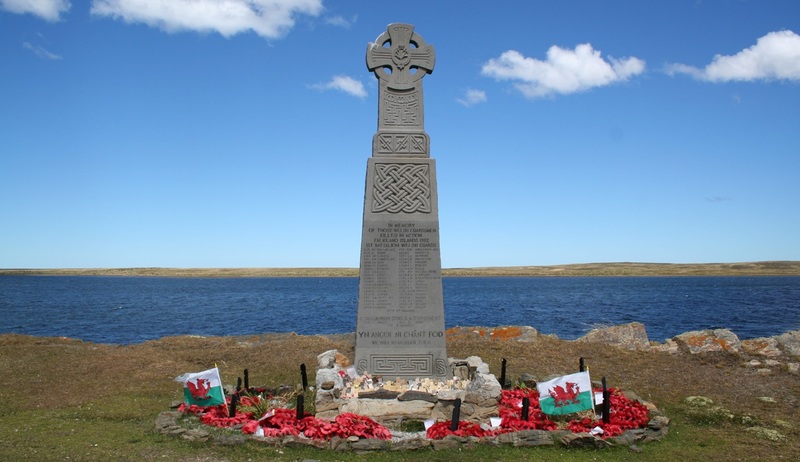 There is also the fantastic Falkland Islands Museum which you can visit on the early afternoon of day 14 as part of your package. 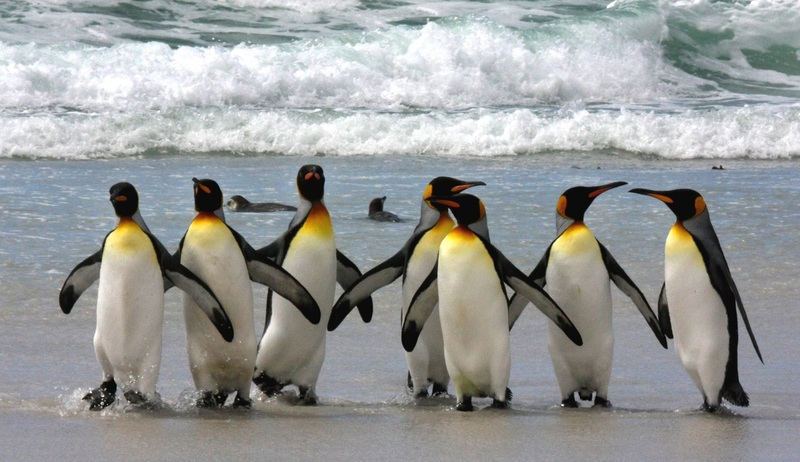 Later in the afternoon you can enjoy a half day tour to Kidney Cove to see the penguin colonies that make the area their home, as well as possible sightings of dolphins. 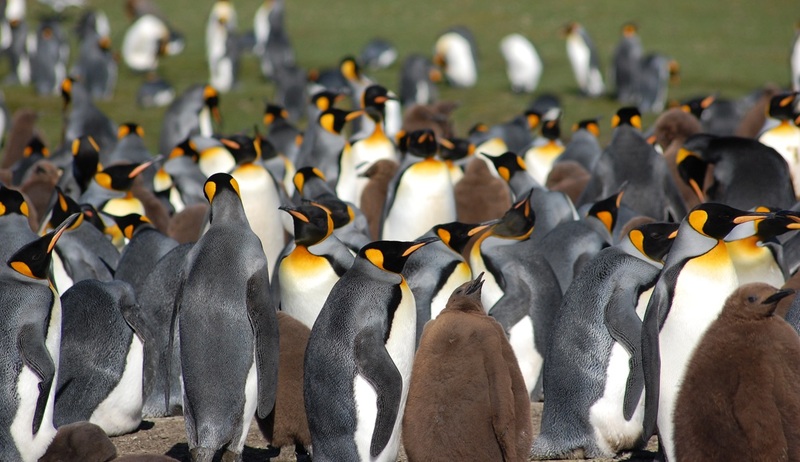 On day 15 there will be an included full-day 4x4 excursion (with a packed lunch included) to Volunteer Point to see the largest colony of king penguins on the islands, plus more gentoos and other birds. 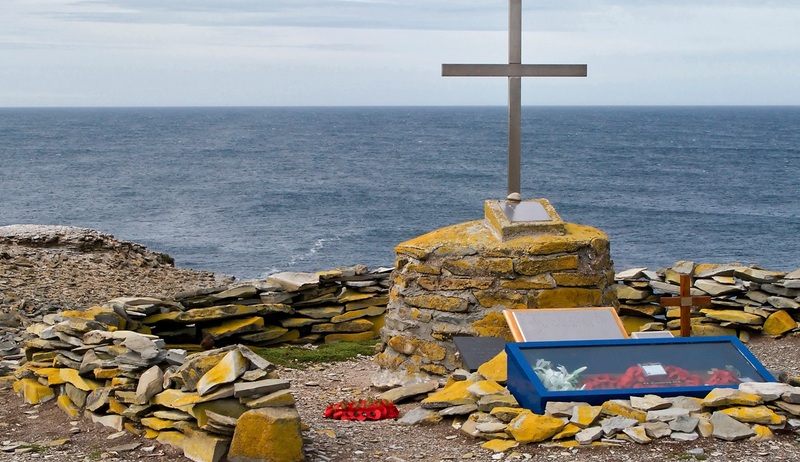 While you are here you may also wish to visit some of the battlefield sites or take a self-guided Maritime History Trail. This evening you can enjoy a bon voyage meal at the hotel hosted by your tour leader Jenny Luxton. On the morning of Day 16 a transfer will be provided from your hotel to the airport for your flight back to Brize Norton. This is an overnight flight so you will arrive back in the UK the following day. Located just a few minutes' walk from the historic centre of the world's southernmost capital this beautiful hotel offers sophisticated and comfortable accommodation for guests looking for a central and relaxing base from which to enjoy all that Port Stanley has to offer. 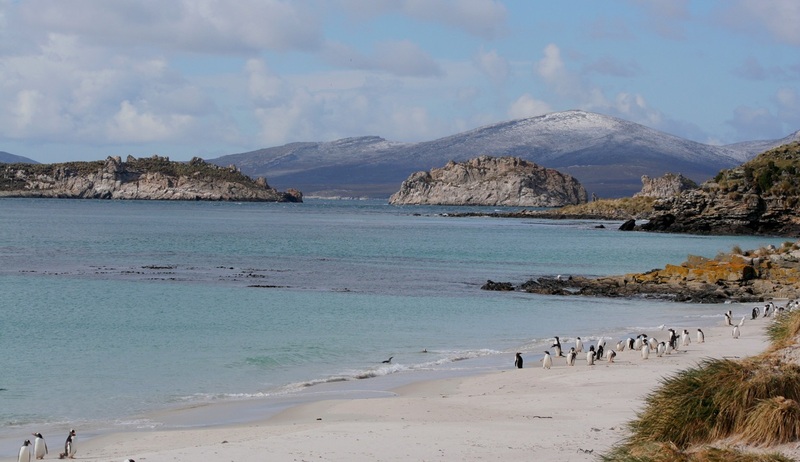 With views over the natural harbour, unrivalled hospitality, elegantly furnished bedrooms, and a small but welcoming spa this hotel has all the necessary amenities to ensure a very pleasant stay at the start or end of your Falkland Islands adventure. 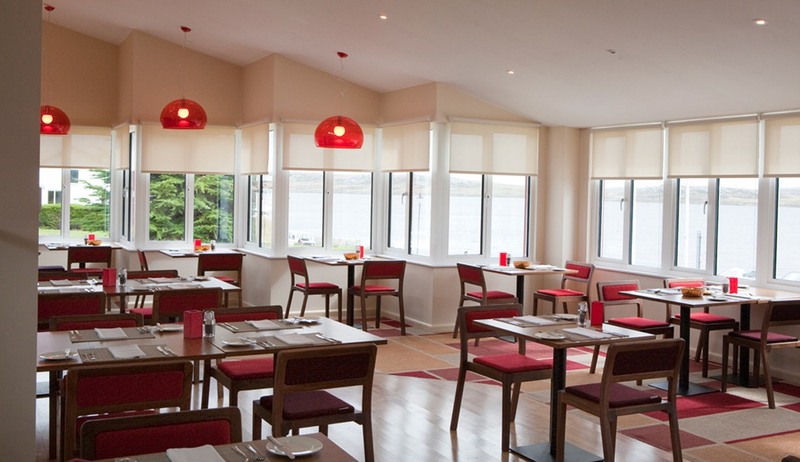 You may even be lucky enough to spot a stray seal or penguin across the harbour waters as you enjoy a relaxing dinner or drink in the hotel's spacious and welcoming bar and restaurant which serves delicious home cooked meals throughout the day. 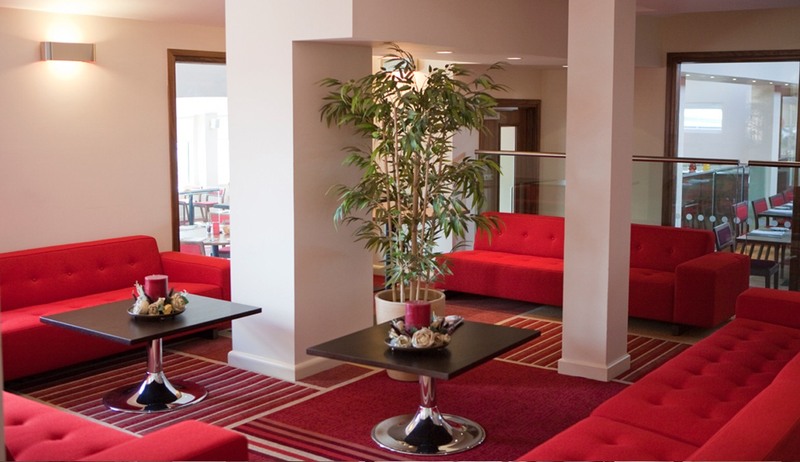 Malvina House Hotel offers 3 different levels of accommodation, all of which have en-suite bathrooms, large comfortable beds, flat screen TVs, fluffy white towels and comfortable seating areas. Each bedroom has been decorated and furnished to a very high standard and many of the bedrooms also offer fabulous views over the harbour. 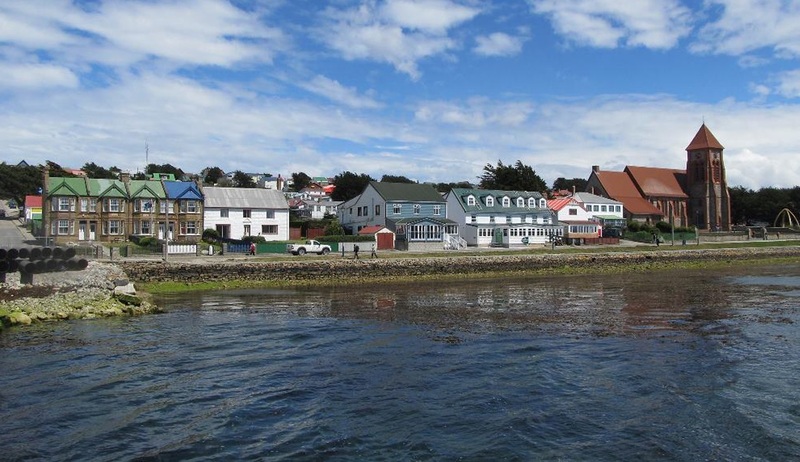 Situated in the historic Darwin settlement on East Falkland Island this comfortable and welcoming guest house is located perfectly for those looking for a relaxing and tranquil stay close to Darwin's most famous sites. The area surrounding this pretty lodge is bursting with history, with gaucho remains and memorials from the 1982 conflict visible throughout, and combined with top-class hospitality and welcoming accommodations this is a perfect place to relax, unwind and enjoy the remarkable scenery on offer. 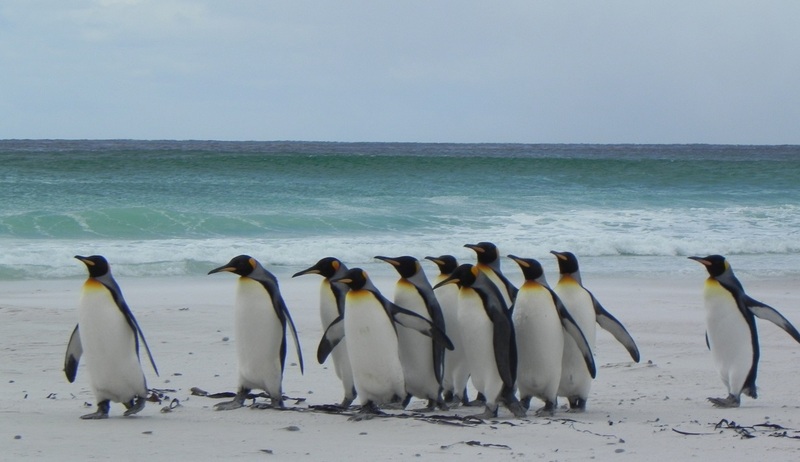 The owners of the lodge know all there is to know about this wonderful area and can help you to arrange everything from battlefield tours to trips to visit Gentoo penguin colonies. 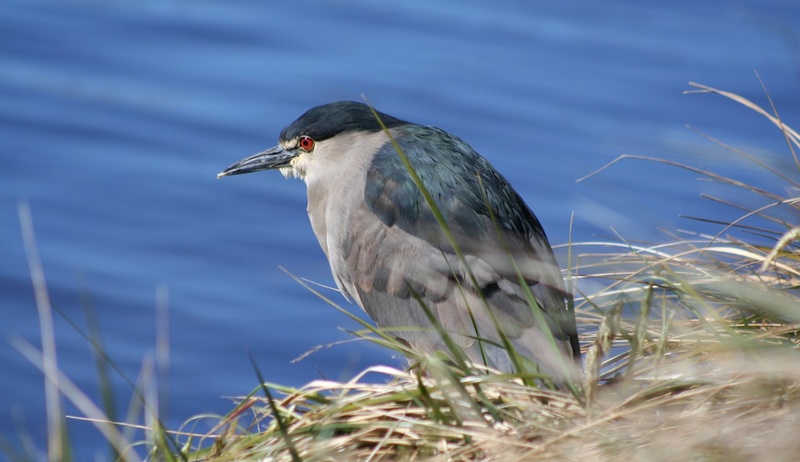 The area surrounding Darwin Lodge is fantastic for a wide range of walks where you can expect to witness a wide variety of flora and intriguing wildlife and birdlife such as the Southern Giant Petrel, the Falklands Steamer Duck and the Falklands Thrush. 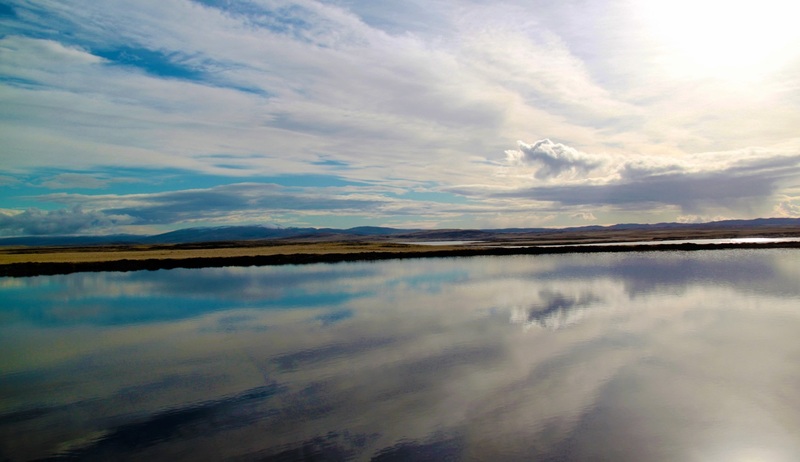 After a long day of getting up close to the wonders of the Falklands' unique wildlife and history you can return to the calming atmosphere of Darwin House where a warm welcome awaits you. 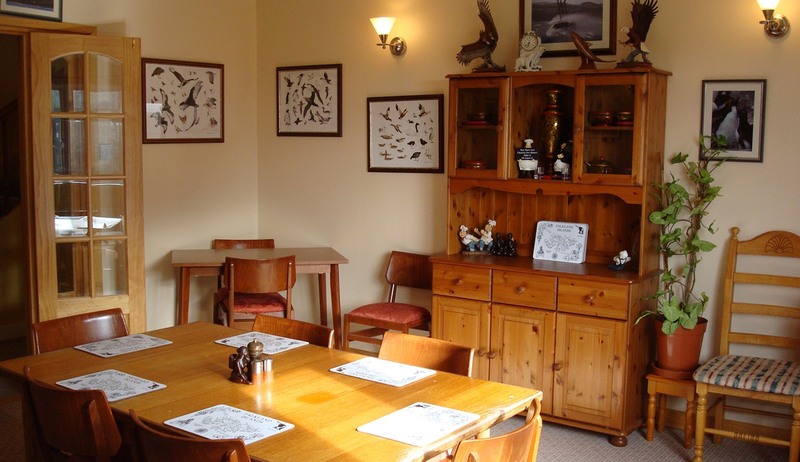 The lodge has a large dining room and bar where home-grown and home-cooked meals are served. Alternatively you can sit back and relax whilst enjoying some traditional Smoko and afternoon tea in the lounge or the sunny conservatory overlooking the Choiseul Sound waters. 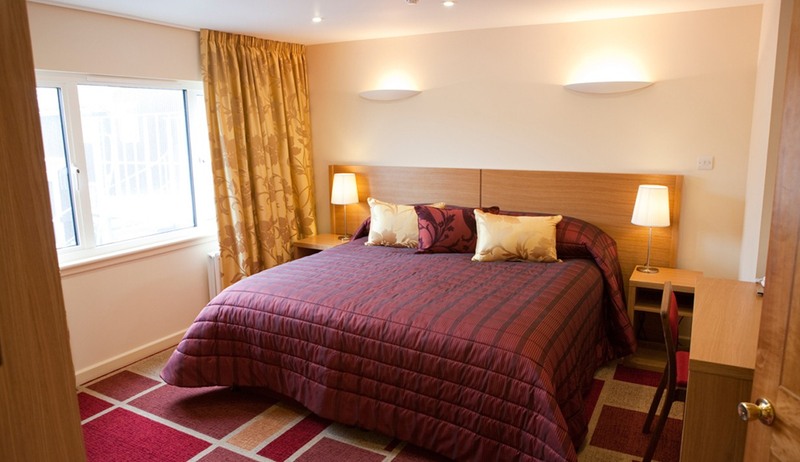 There are 6 guest bedrooms at Darwin House, 2 of which have en-suite bathrooms and 4 which have en-suite shower rooms. Each comfortable bedroom has been decorated to a high standard and provides all the necessary comforts for a relaxing and enjoyable stay. 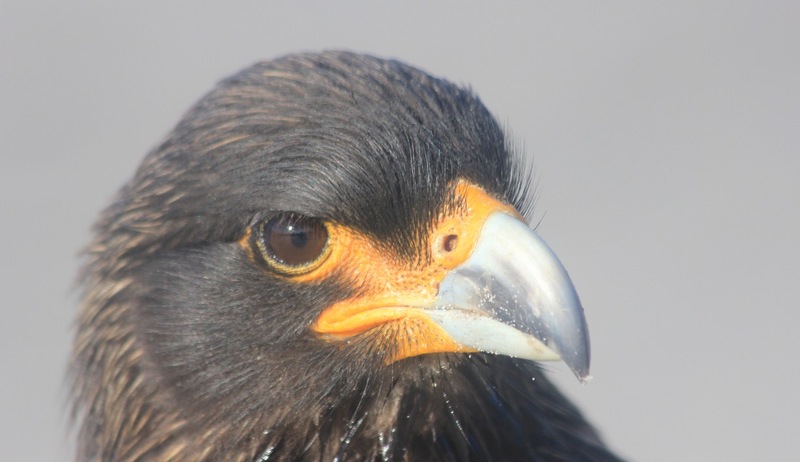 As its name suggests this beautiful lodge is located on the wonderful Carcass Island, a quiet, wildlife rich haven situated to the north west of West Island. Often thought of as the most beautiful of the islands in the archipelago, Carcass Island is reached by a short flight from Stanley and upon arrival at Carcass Island Lodge you will receive a very warm welcome from your fantastic hosts who will aim to make sure your stay here is an unforgettable one. 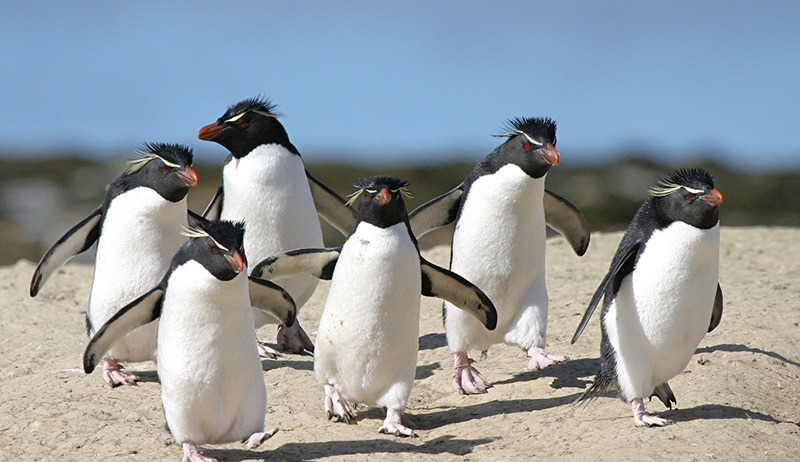 Your hosts, who are the owners of the island, will be able to tell you the best places to spot the island's famous wildlife including large colonies of magellanic and gentoo penguins, elephant seals, dolphins and a plethora of birds such as Cobb's wren, the Falkland Thrush and the Falkland Skua amongst many others. The lodge itself is cosy and welcoming with 5 homely bedrooms, 4 of which have en-suite facilities. 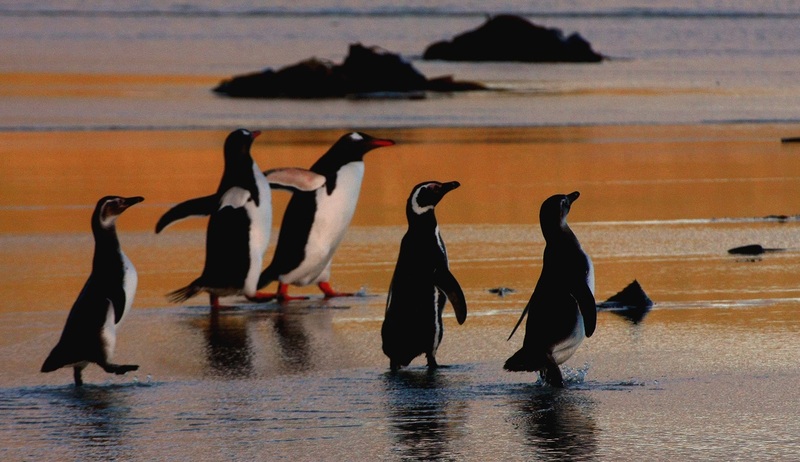 Your hostess is renowned for her baking accompanying tea at any time of the day and this can be enjoyed in the comfortable lounge or outside as you listen for the sounds of the nearby magellanic penguins. The lodge also has an honesty bar, a dining room and a sun room. Carcass Island is also the access point to West Point Island and Grand and Steeple Jason Islands and your hosts will be happy to make arrangements for you to visit. 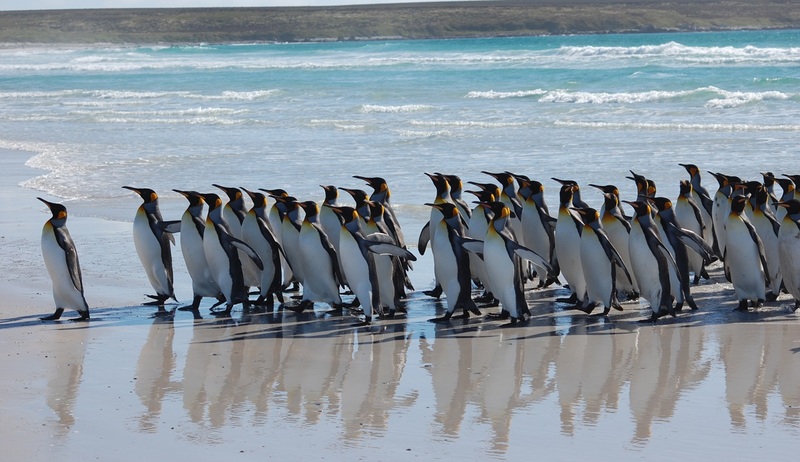 10 miles south of East Falkland lies the remarkable Sea Lion Island where an abundance of wildlife live and roam amongst some of the most beautiful scenery in the Falklands Archipelago. 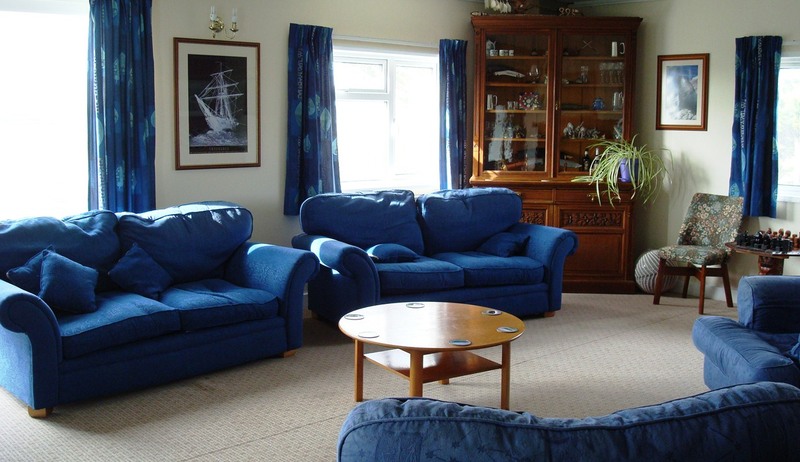 Sea Lion Lodge is the only accommodation on this wonderful island and here you will find a welcoming, homely and exceptionally comfortable home-from-home to rest your bones after a long day of exploring. 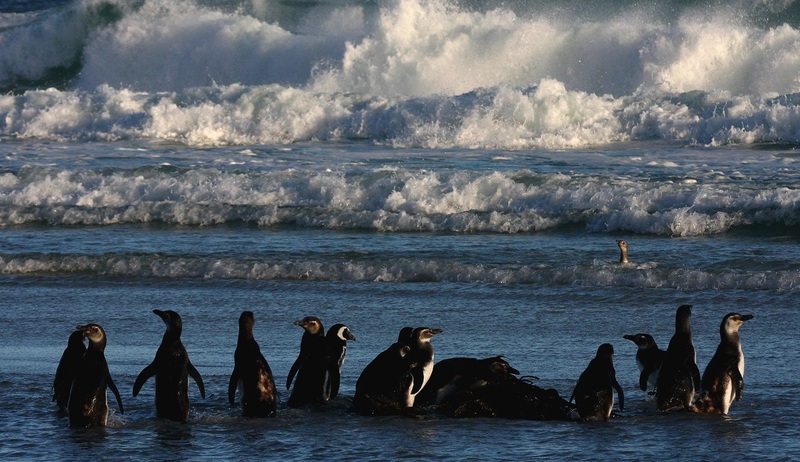 Offering spectacular views of the South Atlantic this peaceful lodge is known as the most southerly British lodge hotel in the world and with the largest breeding colony of Southern Elephant Seals on its doorstep it is a wildlife enthusiast's paradise. 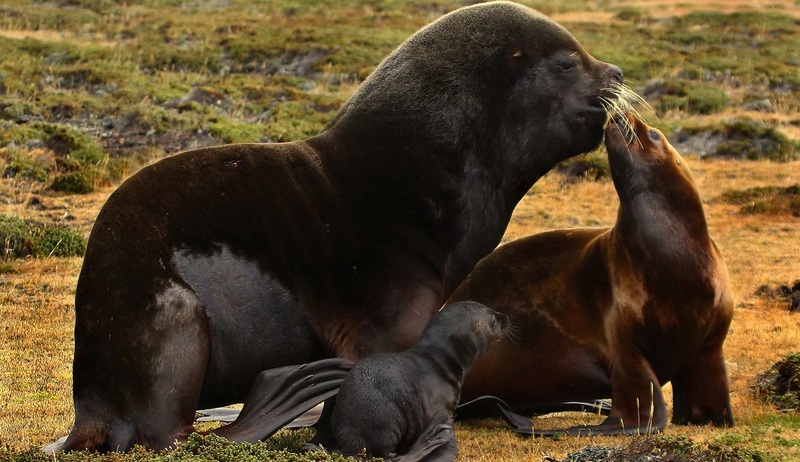 Sea Lion Island is accessible via a 40 minute flight from Stanley and upon arrival at your lodge you will be greeted with a warm welcome from your hosts who will ensure that you are superbly looked after throughout your stay. 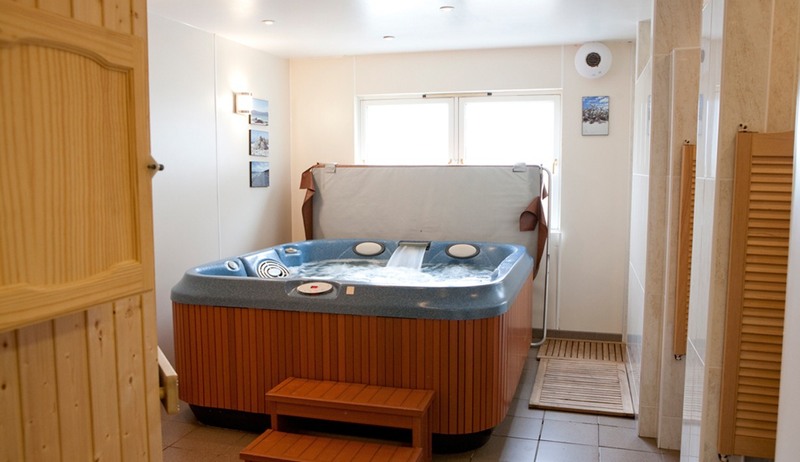 The Lodge was recently upgraded to ensure a very high standard of accommodation and there are 5 twin rooms, 2 double rooms, 1 single room and 1 family room, all of which have been immaculately decorated and feature an en-suite bathroom, central heating and large comfortable beds. The lodge has a welcoming lounge bar in which guests are invited to relax after a long day of exploring with a drink from the wide selection of wines, beers and spirits on offer. 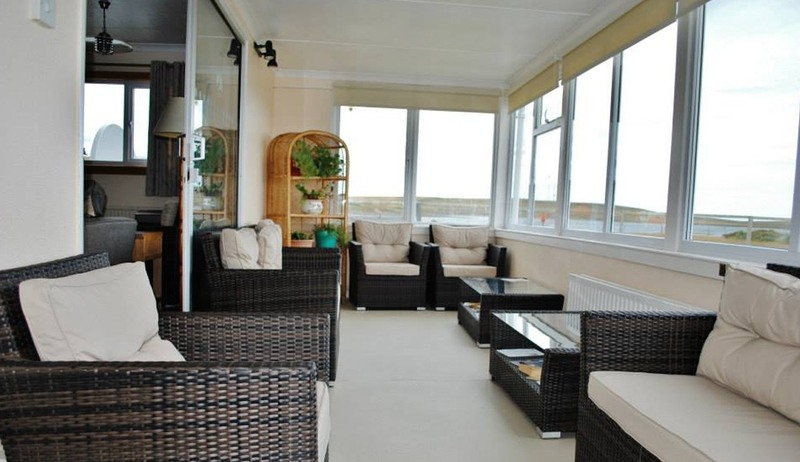 There are also 2 comfortable living rooms, a conservatory and a well stocked library. 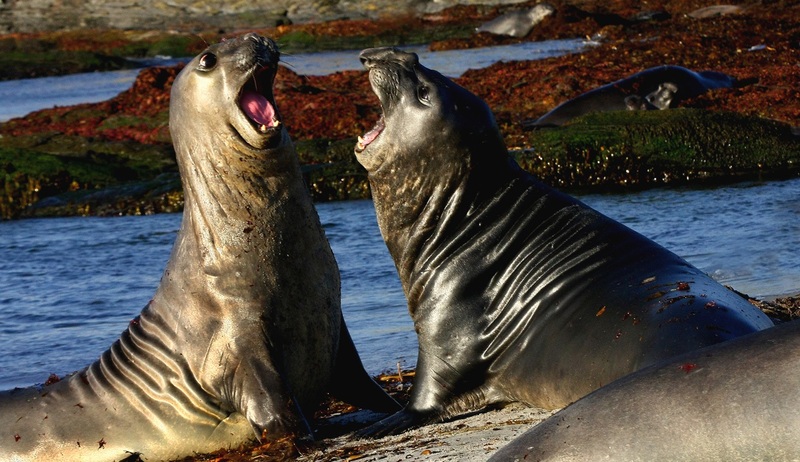 Sea Lion Island is a popular destination mostly due to the sheer quantity of wildlife available to observe within a short distance. 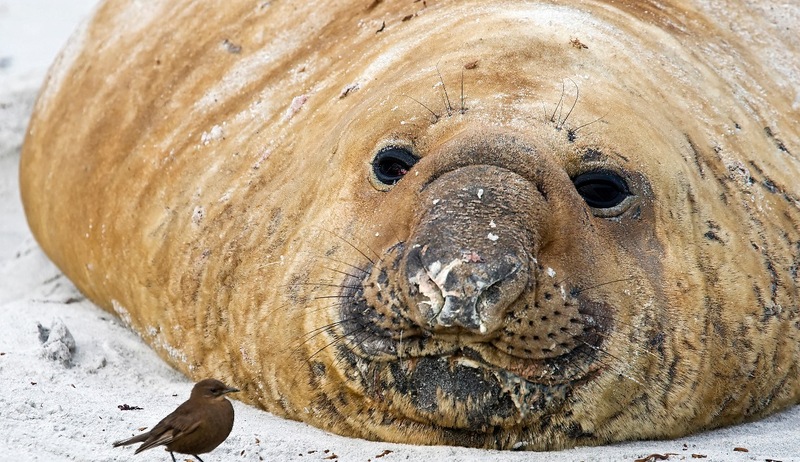 There is a large colony of southern elephant seals, which share the beach with sea lions and gentoo penguins, along with an abundance of birdlife such as Cobb's wrens, southern giant petrels, Falkland skuas, striated caracaras and short-eared owls. 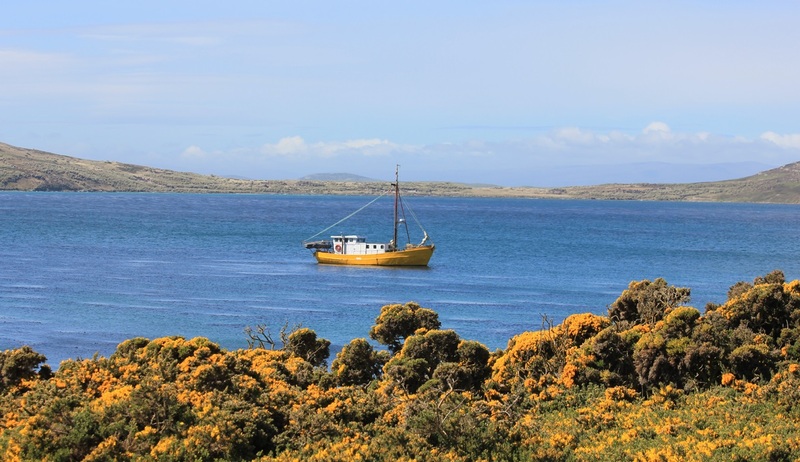 Offshore, pods of orca and Peale's dolphins can often be spotted, sometimes quite close in and your hosts will be delighted to let you know the best places for wildlife spotting and the best routes to take. 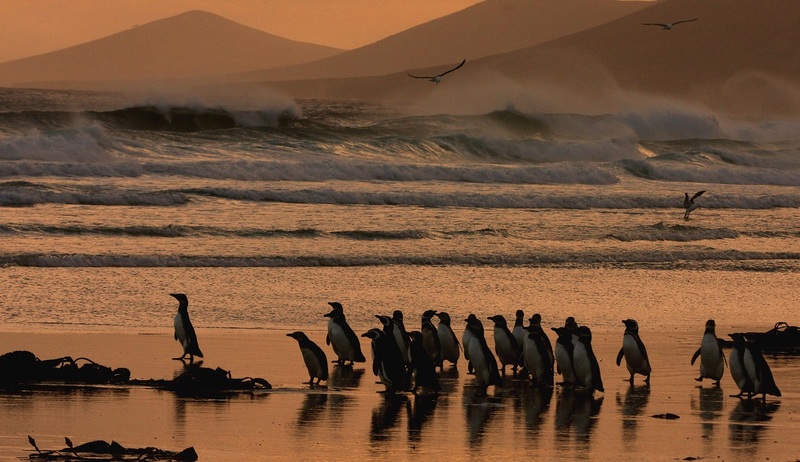 A half an hour flight from Stanley, lying to the south of East Falkland you will find Bleaker Island - a long, low island with sandy beaches and cliffs home to a multitude of wildlife and birdlife. 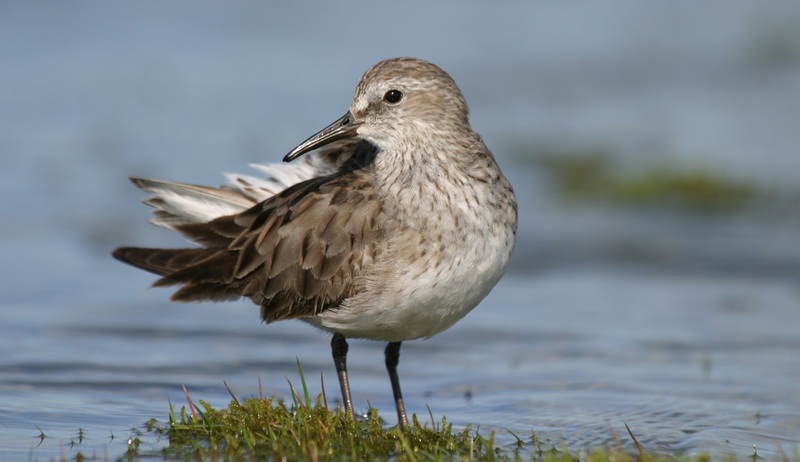 This impressive and remote island has an extensive coastline offering beautiful scenery but its main pull is the remarkable birdlife that lives and prospers here. A small settlement situated within easy walking distance to the beautiful sandy bays and sheltered coves is home to 2 beautiful and spacious purpose-built houses where guests can enjoy fantastic hospitality, home-cooked meals and endless views close to the wildlife hotspots. Cassard Cottage is the larger of the 2 houses and features beautiful wooden floors, a large comfortable living area with luxurious leather sofas and chairs, 4 large en-suite bedrooms, a well-equipped kitchen, a dining area, and solar-powered hot water and under-floor heating. Cobb's Cottage offers 2 en-suite twin bedrooms, a sun lounge, beautiful dining and living area and a fully equipped kitchen. Both houses have been furnished, decorated and equipped to a very high standard and both offer either self-catering or full-board stays. 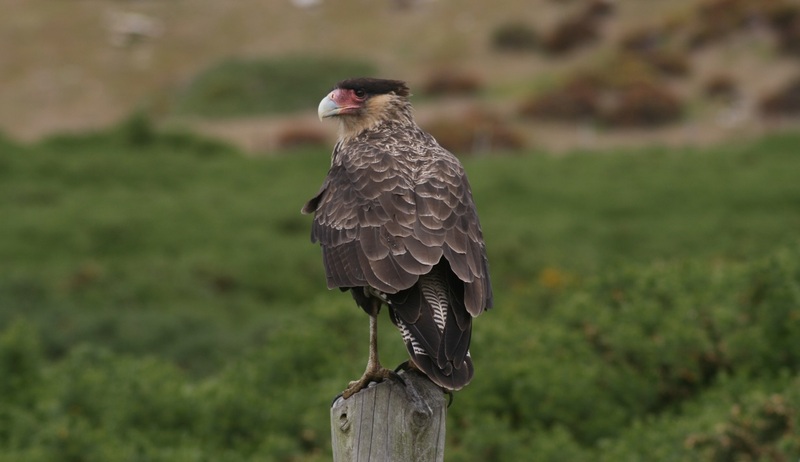 Close to both houses guests will be delighted to witness a broad range of wildlife including 3 species of penguin and countless large birds including nesting Falkland skuas, oystercatchers, Southern giant petrels and king shags. 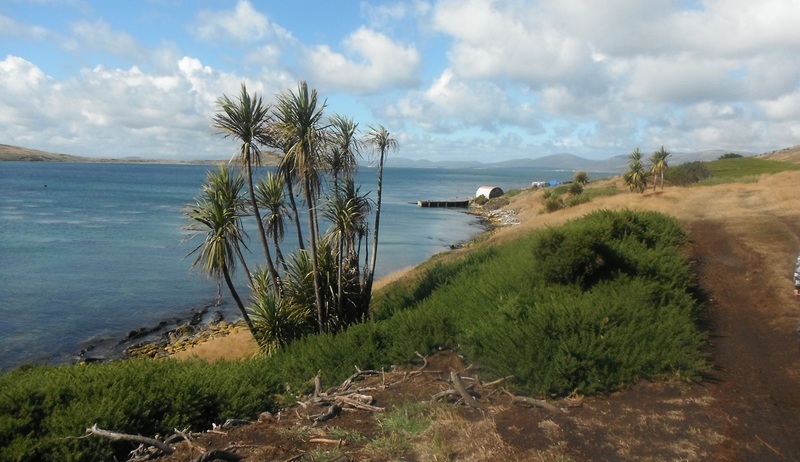 The northern part of the island was designated as a National Nature Reserve in 1970 and there are countless walking trails that guests can enjoy as they seek out the intriguing wildlife and soak up the silence of this remote and wonderful island. 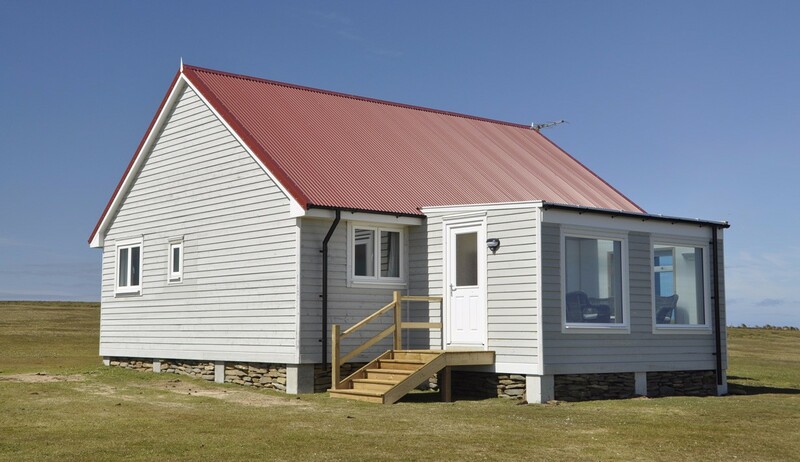 Pebble Island is the third largest offshore island in the Falklands archipelago and the main guest accommodation here is this bright and comfortable lodge which is ideally situated on a neck of land separating the two main land masses of this wildlife and history rich island. 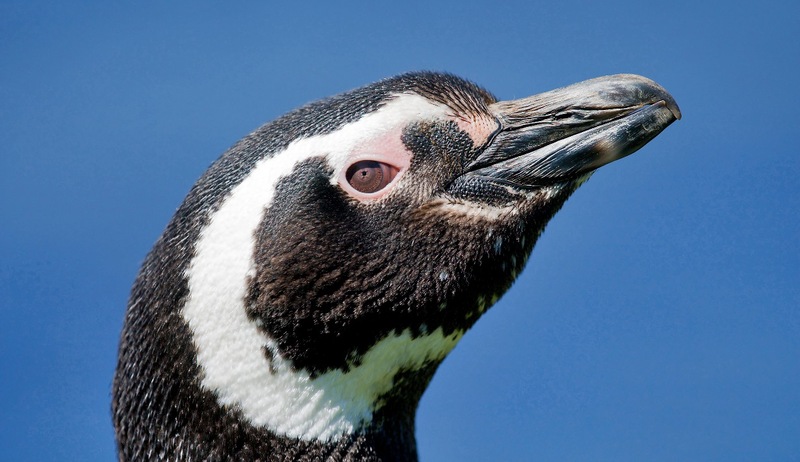 Spend your days exploring the diverse terrain of magnificent sea cliffs surrounded by a plethora of birdlife, beautiful beaches filled with penguins and imposing mountains before returning to the warmth and comfort of this recently renovated traditional farmhouse. A friendly and welcoming atmosphere awaits you along with well appointed bedrooms, cosy lounge areas and delicious home-cooked meals and Smoko. 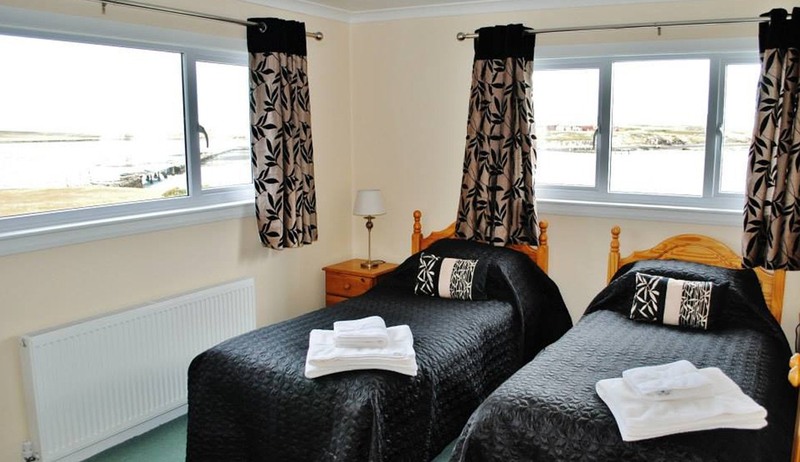 The lodge accommodates up to 11 visitors in a mixture of single, double/twin and triple rooms. 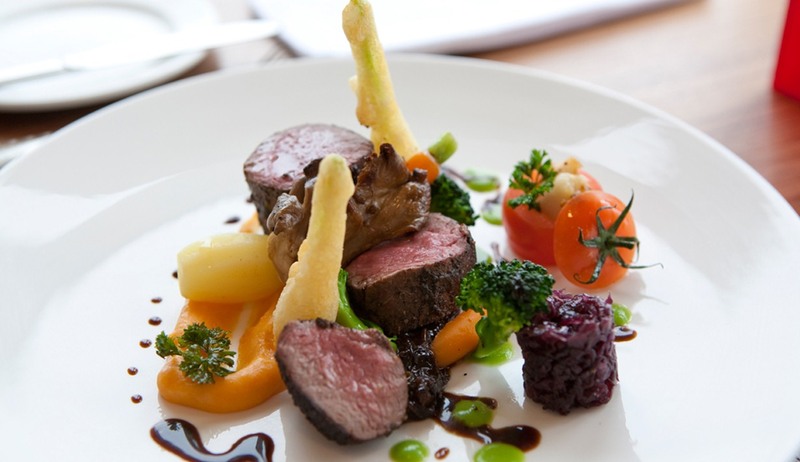 Fantastic home-cooked food is available throughout the say and there are welcoming and cosy social areas where guests can relax with a drink from the well stocked honesty bar and regale stories of their adventures. 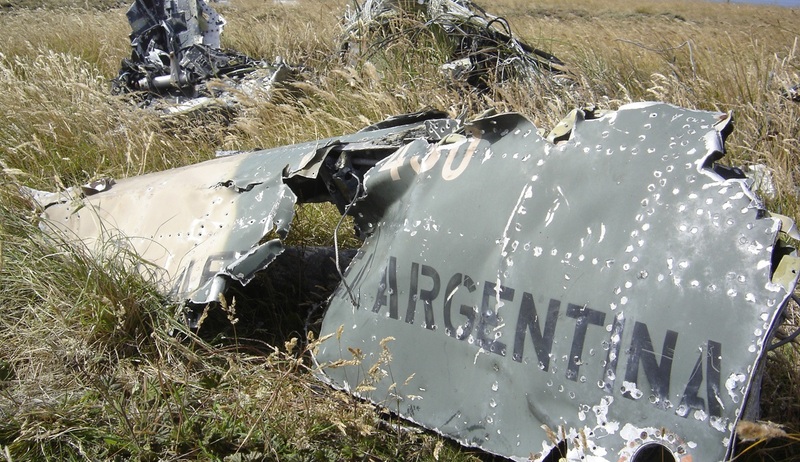 Full and half day trips are available for wildlife viewing and to visit war sites from the 1982 conflict.